Fleet management services in Nigeria:In Nigeria today, being able to manage time efficiently is an easy way to increase productivity. When you are the manager of employees that are on the other side of the country this can be hard. Knowing what they are doing and where they are is a challenge, and just taking their word for it isn’t always going to work. GPS Tracking Systems put you in charge of your fleet no matter where they are. Our fleet management solutions is highly reliable and works in the USA, Canada , UAE , China and Nigeria. Fleet management services in Nigeria: A 120 Day history is available per vehicle to help you know which trucks are doing well and which trucks need a little jump start. 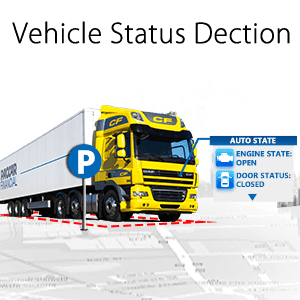 Our fleet management solutions help you control your fleet from the outside looking in. Control speed, perimeter and even give directions to the truck without GPS who got lost on delivery. Safe, secure, timely deliveries are made easier with our fleet management solutions. Fleet management services in Nigeria can effectively fine-tune organizational activities, operations and resources (vehicles and driver) to bring out maximum output to increase profitability for the organization. It has several benefits that not only saves time but can handle complex fleet management operation activities to bring ease in work. Since we all know that Time = Money, so a time saved is the money saved. Thereby, it reduces expenditures and contributes to overall profitability of the organization.